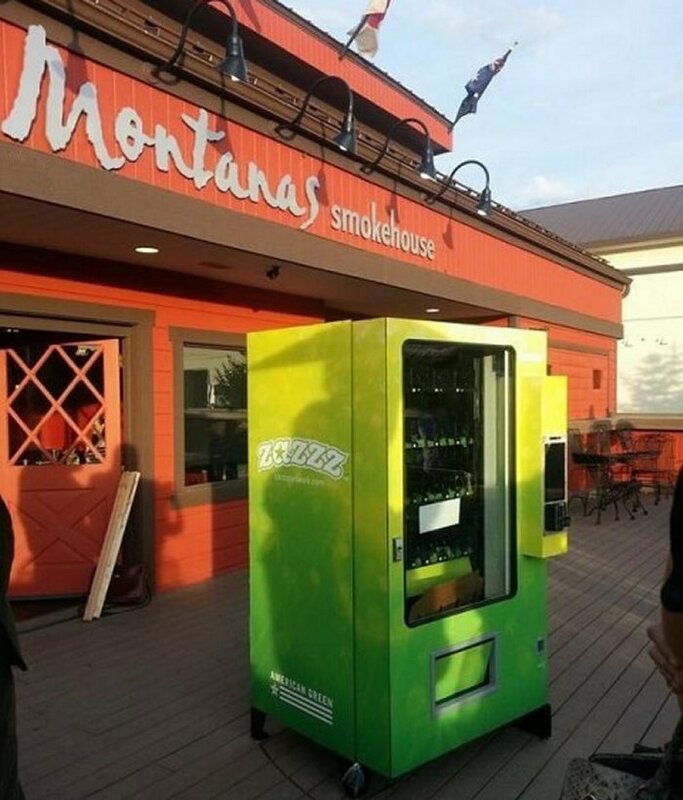 We’ve seen all kinds of crazy and cool vending machines and now Colorado’s first marijuana vending machine was rolled onto the patio at Montana’s Smokehouse in Avon yesterday. It should be installed by now, a full week before 4/20. Its not the only pot vending machine in existence, they have them in the U.S., particularly in California. However, consumers can use this vending machine, while the ones in California can only be in medical dispensaries behind counters, and only “budtenders” can have access. Not any old person. It may be accessible to consumers, but there is a catch. You knew there had to be a catch right? Only medical marijuana cardholders will be able to get the goods inside. Now that you have all had your collective sigh, I’ll move on. The machine will scan and verify valid ID, so recreational users will have to go elsewhere. However, cardholders can just walk up to the machine and get their stuff. Stephen Shearin, COO of Tranzbyte, American Green’s parent company, believes that the pot vending machine will be good for shy people. They can purchase marijuana legally and won’t have to go out of their comfort zones. It is like the automated checkouts at the supermarket, and he says it is “not for everyone, but for those who use it, they love it.” Good luck keeping it stocked.